The BW GasAlertClip Extreme H2S Gas Detector 5/10 (3 year) is now obsolete. It is replaced by the BW Clip. PLEASE NOTE: This product is now obsolete and is replaced by the BW Clip. This particular GasAlertClip Extreme single gas monitor from BW Technologies is ideal for the detection of hydrogen sulphide. It features alarm levels of 5 ppm (low) and 10 ppm (high) and is great for those operate as onsite contractors or facility workers. The casing is not only durable and tough it’s also water-resistant which adds to the flexibility of the monitor. 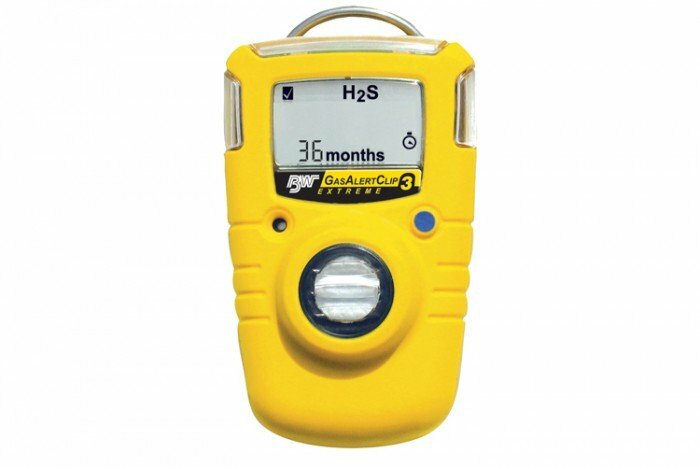 This H2S detector operates using one-button operation and will offer continuous protection for up to three years. The GasAlertClip Extreme is most beneficial as a single gas monitor due to its low cost of ownership. You don’t need to worry about calibration, charging the instrument or replacing the H2S sensor and battery.